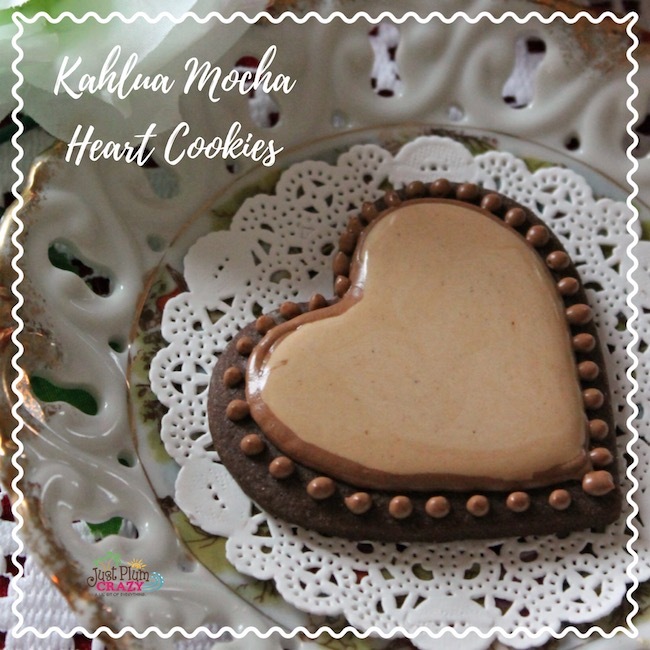 Kahlua Mocha Heart Cookies Recipe | Be Plum Crazy! 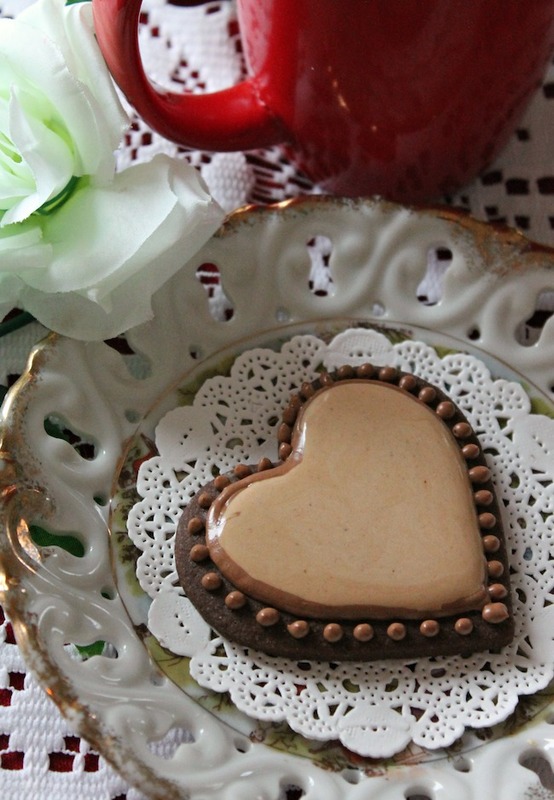 The Kahlua Mocha Heart Cookies recipe is brought to you by Just Plum Crazy. Kahlua Mocha Heart Cookies Recipes! 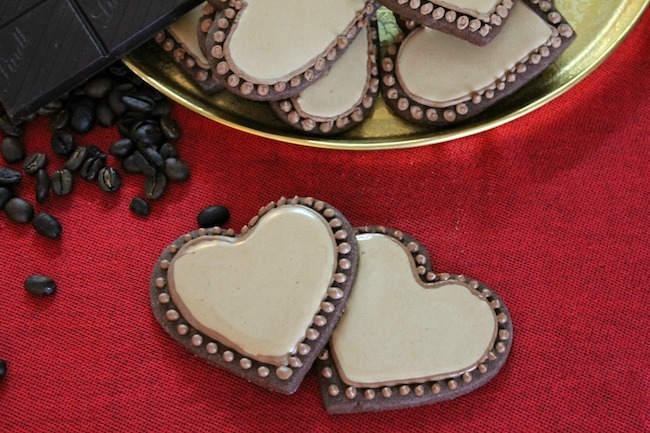 Coffee liqueur icing adds a unique flair to these adult Valentine’s Day cookies. The rich flavor and classy appearance will be appreciated – and so will your efforts! 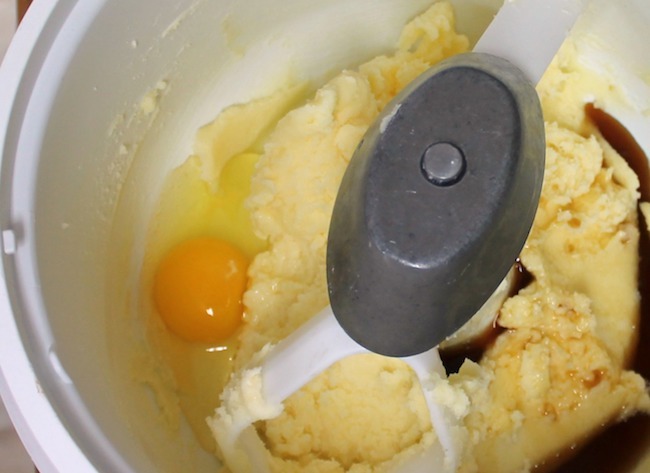 The cookie dough is very simple to make and doesn’t require chilling. To simplify the process even more, make the cookies ahead of time and freeze between layers of parchment paper on a baking sheet, tightly wrapped. Thaw and decorate when convenient. Makes 3 1/2 dozen 3-inch hearts! 1. Heat oven to 350 F. Cover baking sheets with parchment. scraping the sides of the bowl often. 3. Add vanilla, coffee (or water), and egg and beat until combined. 5. Working with 1/4 of the dough at a time, place dough on a large piece of floured parchment. 6. 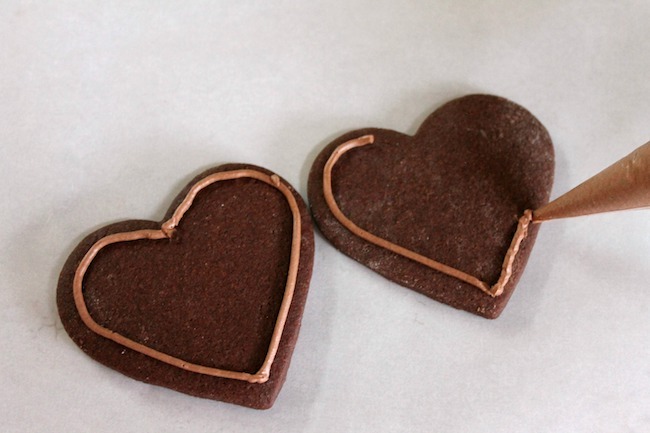 Using a cookie cutter, cut out heart shapes and place 1/2 inch apart on prepared baking sheets. to get a little crisp. Move to rack; cookies will harden as they cool. 8. Dough scraps may be re-rolled between parchment sheets. 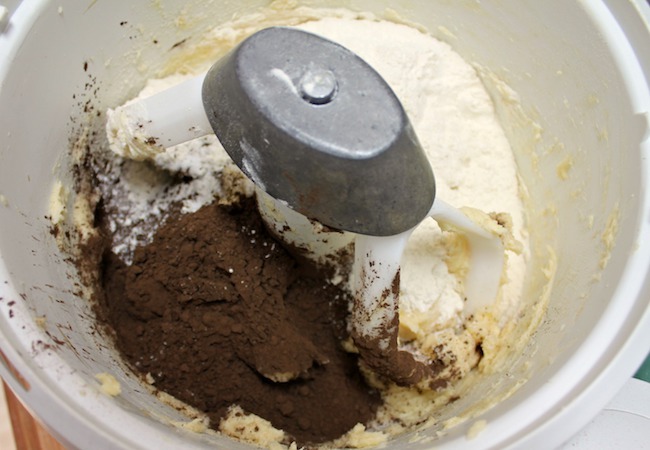 espresso powder. With mixer running, slowly add the warm water and liqueur. 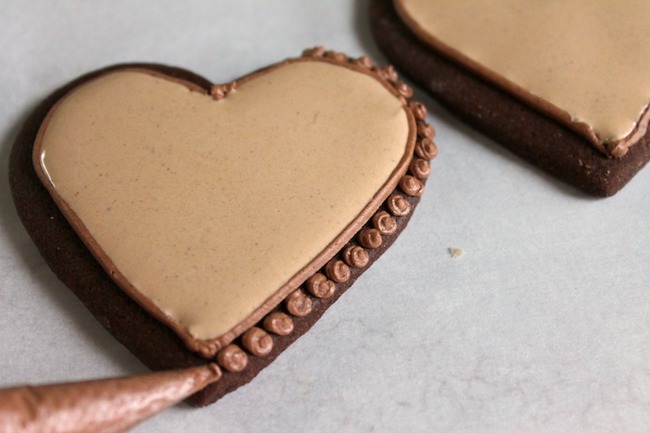 than normal royal icing, it won’t come to a stiff peak, but should be light and smooth. corn syrup.) Cover icing with plastic wrap and set aside. a little liqueur (or water) 1/2 teaspoon at a time. 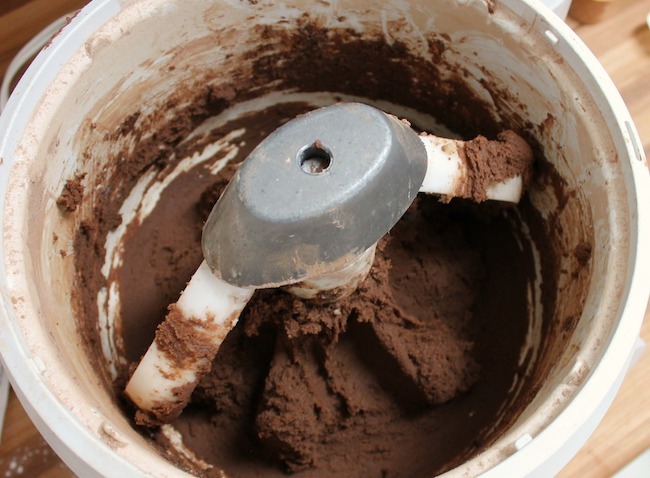 If it’s too thin, add a little cocoa powder. 5. 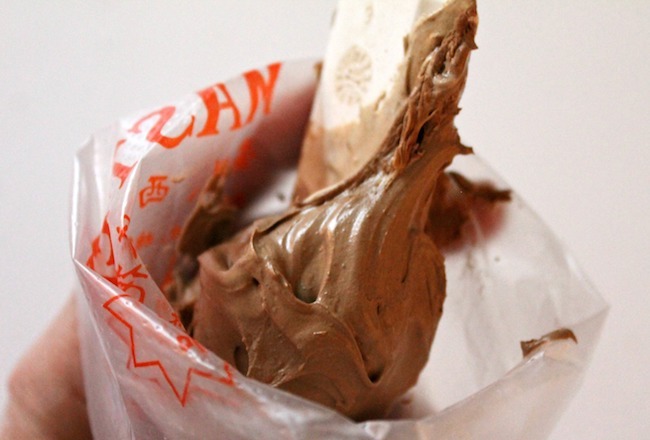 For best results, the thick darker icing should go into a pastry bag with a small round writing tip. type plastic zipper bag. Cut a small piece of the tip off and test by squeezing a small amount out. make a sturdy line around the cookie. icing all the way to the piped outline. Tap gently to settle the icing. 9. 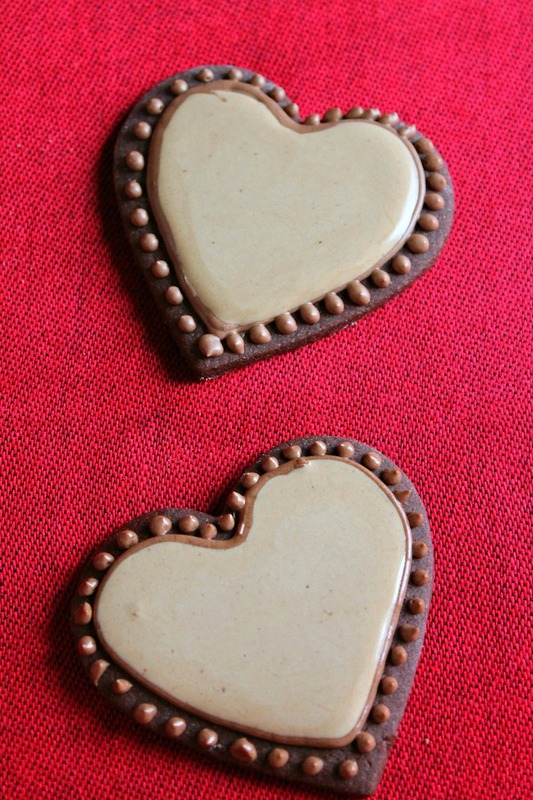 Using the thick, dark icing, pipe small dots along the edge of the heart, just outside the outline. 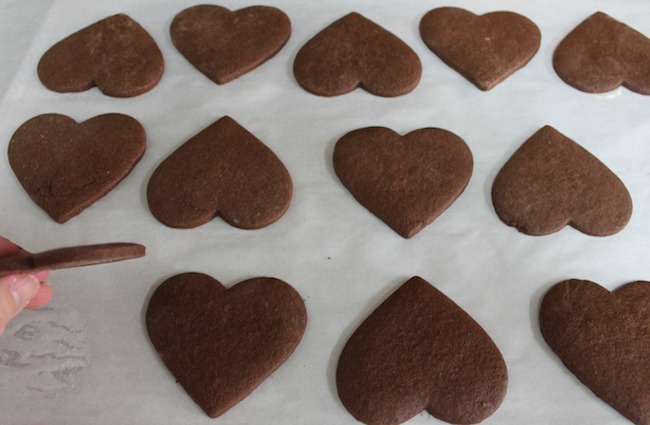 Allow cookies to dry undisturbed for at least 6 hours. Heat oven to 350 F. Cover baking sheets with parchment. Add vanilla, coffee (or water), and egg and beat until combined. Working with 1/4 of the dough at a time, place dough on a large piece of floured parchment. 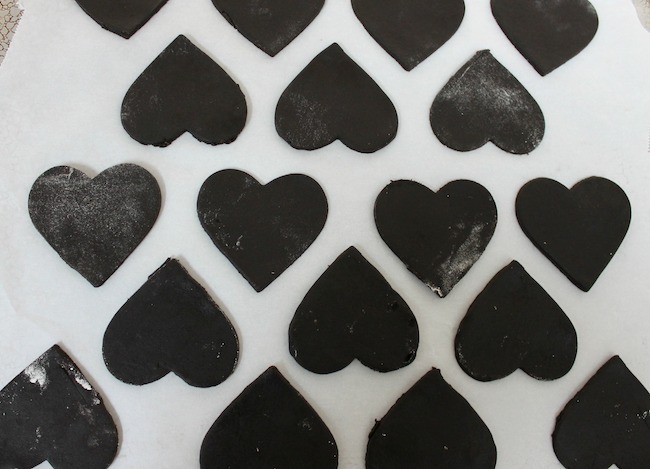 Using a cookie cutter, cut out heart shapes and place 1/2 inch apart on prepared baking sheets. 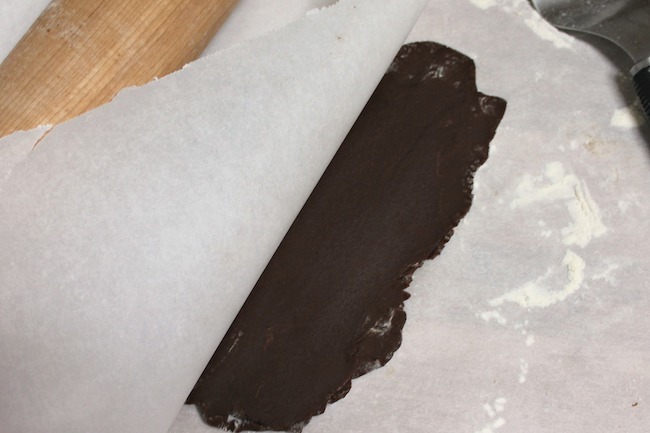 Dough scraps may be re-rolled between parchment sheets. For best results, the thick darker icing should go into a pastry bag with a small round writing tip. 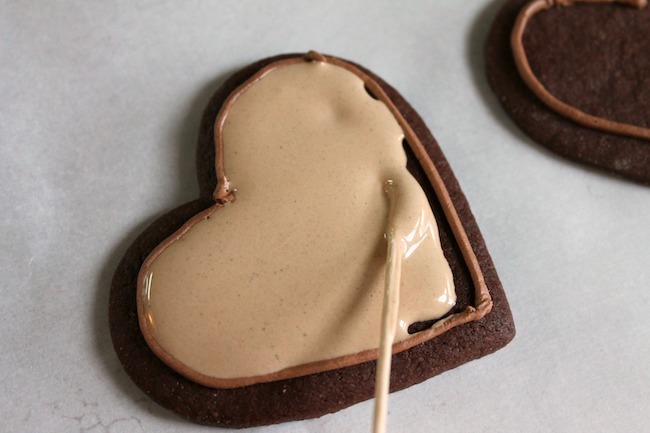 Using the thick, dark icing, pipe small dots along the edge of the heart, just outside the outline.